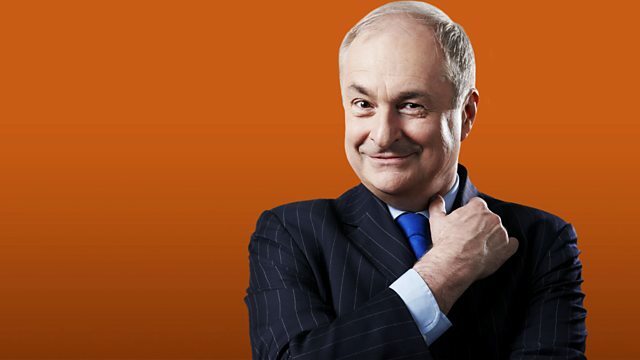 Paul Gambaccini blends digital tracks from the week's US charts of songs, albums, R&B, country and rock hits with LP and singles tracks from the last six decades. Paul Gambaccini presents tracks from this week's US charts and hits from the last six decades. Each week, songs are played connected to members of 'The Rock And Roll Hall of Fame'. We hear 'Because They're Young' by Duane Eddy and in honour of The Beatles' manager Brian Epstein we play the group's second American number one 'She Loves You'. In 'A Matter Of Life And Death', we celebrate the birthday on this date in 1938 of Bill Withers by featuring his debut US hit 'Ain't No Sunshine'. Paul pays tribute to film composer James Horner, who has recently died, by playing 'My Heart Will Go On' by Celine Dion from the movie 'Titanic'. 'It's Not The Same Old Song' highlights 'Glad All Over' recorded by Carl Perkins and a different song with the same title by the Dave Clark Five. In the feature called 'Beyond The Sea', Paul plays tracks from the biggest selling albums by UK artists in America. Tonight, we hear tracks from LPs by Petula Clark and Pet Shop Boys. 'The Other Number Ones' are records that reached the top of the American chart in 'Cash Box' magazine, but not in the 'Billboard' Hot 100. This week's examples are by Chubby Checker and Heart. Our R&B number ones are from 1971 and now by Jean Knight and The Weeknd. We hear Country number ones from 1973 and this week by Kris Kristofferson and Little Big Town. Our featured past and present Rock number ones are by Sting and Walk The Moon. After 45 years of chart success, James Taylor scores his first number one album with 'Before This World'. The number one digital song of the week is 'Bad Blood' by Taylor Swift featuring Kendrick Lamar. The Wild, The Innocent and the E Street Shuffle. The Heart & Soul Of Rock & Roll (Disc. Andrew McMahon In The Wilderness. Titanic - Music From The Motion Picture. Stax Greatest Hits (Various Artists). Best of The Sun Sessions. The Best Of Chubby Checker. The Very Best Of Sting & The Police. The Golden Age Of American Rock ’n’ Roll. Million Sellers Vol.14 - The Seventie.